'Shabnam' - is an immortal creation of Syed Mujtaba Ali. And if you think that it is like other love novels, it would be wrong, a perfect holy love novel in the context of unstable Afghanism. The love of Bengali young teacher with the daughter of an Afghan king. After love they marriage. Where is the difference between animal love and human love, it is understood from here. 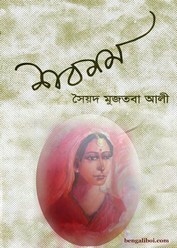 Read this novel and enjoy the real love story between the Bangali man and Afghani women.